While in Los Angeles, Anne and I took some time out to take a walk along the Venice boardwalk heading north up to Santa Monica. We took a diversion out on the sand and went down to the water and found some mounds of washed up kelp. I’d forgotten how photogenic sea life like kelp can be. Edward and Brett Weston were certainly on to something. While the Venice boardwalk with its colorful cast of characters is a street shooter’s dream, I prefer the un-pretentious kelp. Great capture. My first impression was that there were fishnet in the shot. I thought that thin white stuff was man made too Jonne. 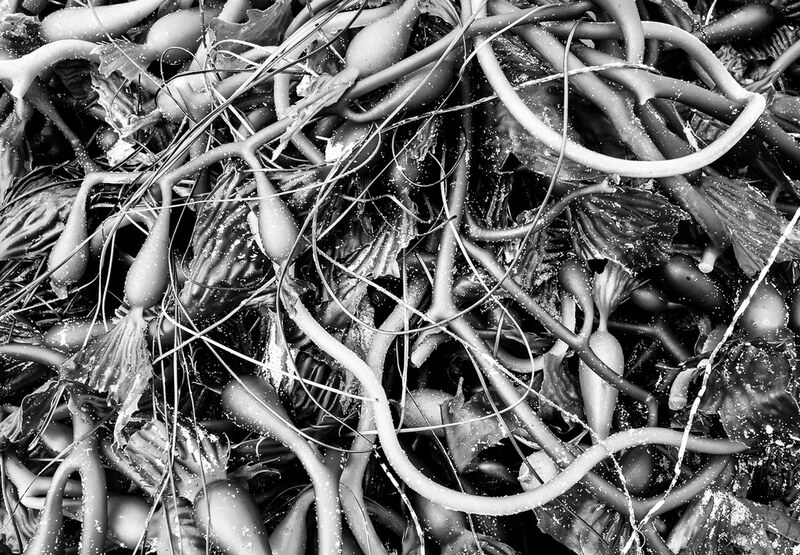 These piles of sea life are fascinating because there’s so much variety in them.